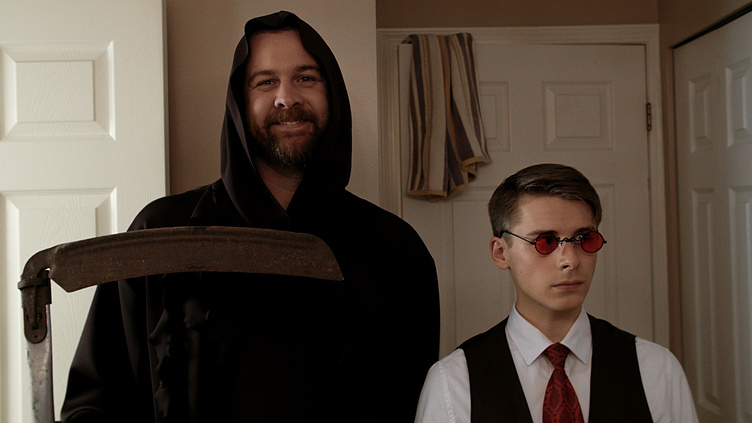 When the Grim Reaper dies on the job, a (highly unqualified) regular Joe must take his place. Egads! 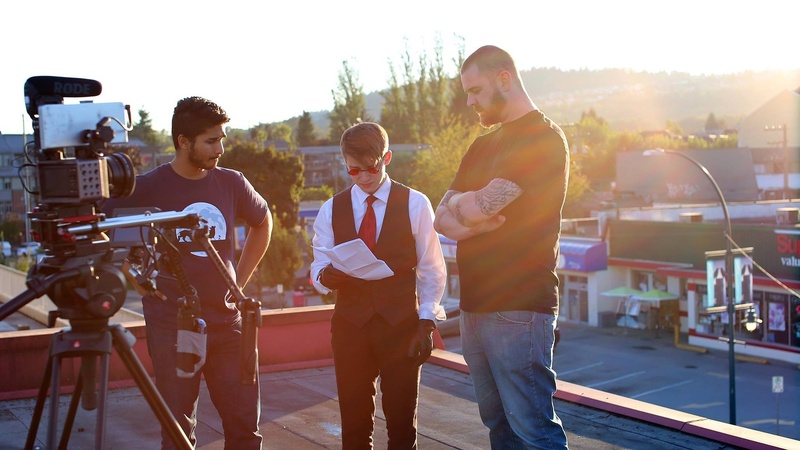 David giving our main actors some direction on the rooftop in downtown Port Coquitlam! 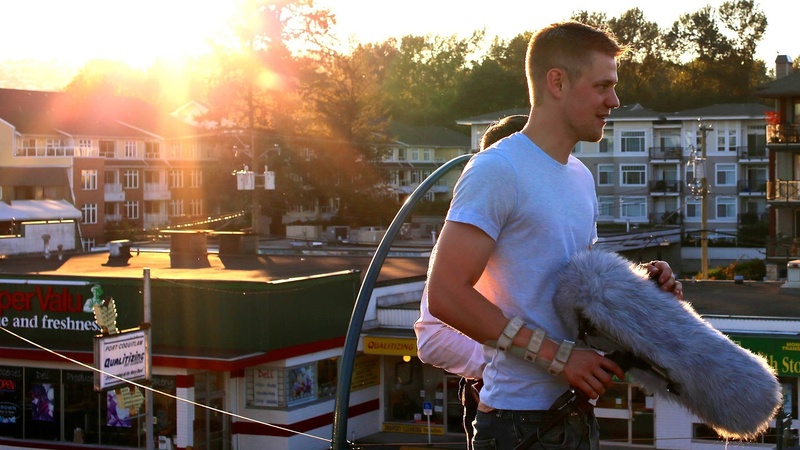 Interesting fact: We filmed this scene on the rooftop of the old Second Storey Theatre! Rhett Spencer, our "original" Death, looking styling. Taking a break from falling for the hundredth time in yet another take! 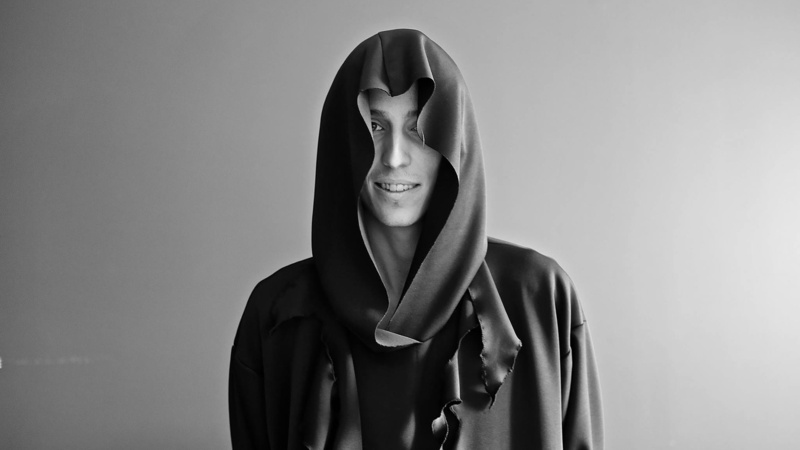 Mind you, you'd never know it by the devilish smile on his face. 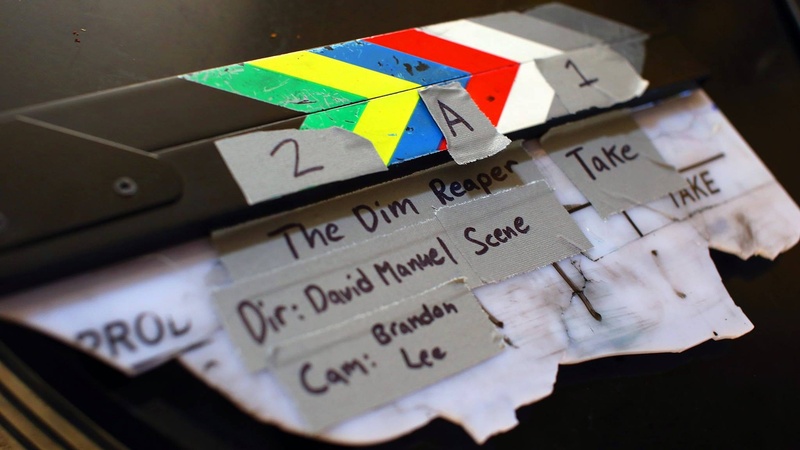 This slate is a metaphor for how this teaser was made. Look at the character. This slate is Clint Eastwood. Our Producer/Lead Actor Graham Myers couldn't restrain himself. 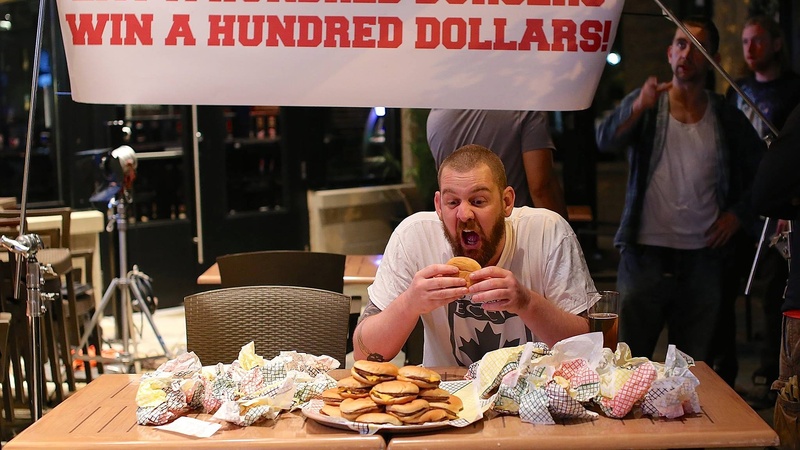 He was actually wrapped for the day, but the burgers were calling him. Who doesn't love Mcdonald's that's been sitting on set for a few hours?! Is there any award for best looking sound guy? Because if so, we'd like that award for Mr. Quinn Spicker here, please. 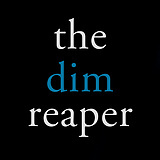 I think I'd like the Dim Reaper to collect me when the time comes.